Shea butter 100% Natural will heal your hair when they are dry or damaged as well as any dry part of your body or face. Shea butter 100% natural is a natural product which stems from a tree. Fruits produced on the tree look like nuts inside which is a naturally fatty white almond. Once processed it turns into a yellow paste: Shea butter. 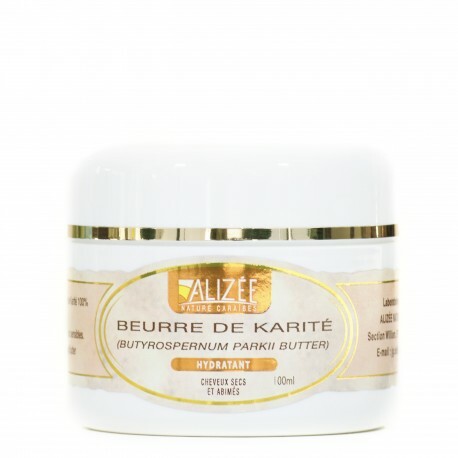 The shea butter 100% natural has numerous repairing properties. The shea butter 100% natural softens, moisturizes and repairs skin. You can apply the shea butter 100% natural on a daily basis. You can use the shea butter 100% natural on your hair, body or face. Find shea butter 100% natural in the natural hair care section.